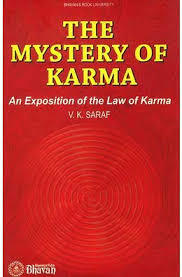 Research papers on the concept of Karma look at this major componant of Eastern Religions and explicate for you. To understand the religion of Hinduism and its view of karma, one must start by examining the Vedic Hymns and the Upanishads. The Vedic Hymns, believed written as long ago as 1500 B.C. are ancient compositions of Indo-European literature and philosophy. The Rig-Veda is considered to be the most important as it holds the core beliefs of Hinduism, the foundation of the religion as practiced from early times to the present. In his book Religions of India, he describes the Upanishads as “a group of mystical-intuitional writings that were inspired by an amazing intellectual experience of the absolute reality beyond the phenomenal world”. If the Vedic Hymns provided the inspiration, the Upanishads focused on the intellectual and spiritual interpretation. A focal point in the Upanishads is its emphasis on Brahman or the true self. Bramanism is the state of perfection for which Hindus strive. Human life is considered to be a lower existence, a temporary state until the person is deemed worthy to become one with the Supreme Being. Nearly all religions have some standard for human conduct that is acceptable and unacceptable. Some religions have established principles that are stricter than others, but most people who follow a particular religion have had their actions guided either directly or indirectly by their religion’s mores. By providing guidelines for conduct that is right or wrong, religious systems have historically helped to guide the ethical standards of their members. Karma basically holds that the actions that one takes will come back to the actor by a higher degree. For example, a person who is nice to another person can expect a positive reward at some point in time. Similarly, a person who mistreats another person can expect a negative reaction in the future. Additionally, Buddhists also believe in reincarnation to some extent. They believe that when a person dies, that person can be reborn as another person or as some other thing. However, karma continues to influence a person from one life to the next. A person who dies with negative karma can be reborn in a worse situation than before. This idea provides an incentive for Buddhists to behave well towards other people. Reincarnation Verses Resurrection - Reincarnation Verses Resurrection research papers compare and contrast the Christian verses Hindu beliefs. Philosophy of the Kama Sutra - Philosophy of the Kama Sutra research papers examine one of the most important readings of the Hindu Religions. Shaivism - Basic Types of Hindu Practices Research Papers- Brahma, Vishnu and Shiva Research Papers on Hindu Beliefs. Cultures of India - Cultures of India. Each of the aforementioned criterions contributes to India's culture. India - India Research Papers focus on a number of the countries most interesting features and discusses the history of the country. Ahimsa Research Papers discuss a form of Indian religion which is called Jainism, and concepts of this religion. Leadership and the Dalai Lama research papers study the leader of Buddhism and his leadership traits. of-comparative-religion.html" target="_blank">Knowledge of Comparative Religion - You will do this by sharing several examples encountered in your research that validates the concepts or practices found in Buddhism, Judaism and Christianity. Paper Masters writes custom research papers on Karma and look at it from Buddhism and Hinduism aspects.